Soap making has a rich history. Let’s find out more about the stories of the different soaps from around the world. Castile soap traces its history to the Levant, back where Aleppo soap makers created soap using laurel and olive oil for thousands of years. It isn’t verified, but it’s believed that in the 11th century, Crusaders brought Aleppo soap to Europe. This is based on the claim that it was just after the Crusades that the very first soap making took place in Europe. However, Romans had already developed soap making techniques in the first century CE. Soap making and the soap itself had already been described by Zosimos of Panopolis. After the Crusades, soap making spread to the entire Mediterranean. Europeans didn’t have enough laurel oil resources and replaced it with the more abundantly present olive oil. This is Castile soap as we know today. 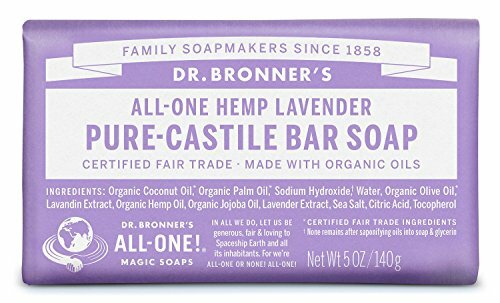 Dr. Bronner’s Pure-Castile Bar Soap is an example of the widespread use of Castile soap today. It uses 100% biodegradable and vegan ingredients. You can use it for your body, face, and even on your hair as a shampoo bar. Savon de Marseille, or Marseille soap, is a hard soap made through traditional methods. It uses vegetable oils from Marseille, France. It was around 1370 when the first soap maker was documented in the area. It is traditionally created by mixing Mediterranean Sea water with alkaline ash from the sea plants and olive oil. They are combined in a cauldron, heated for days. When ready, it is left to sit before transferring to a mold. It’s cut into bars while it’s still a bit soft. It is stamped and left to harden completely. The process takes up to a month to finish. 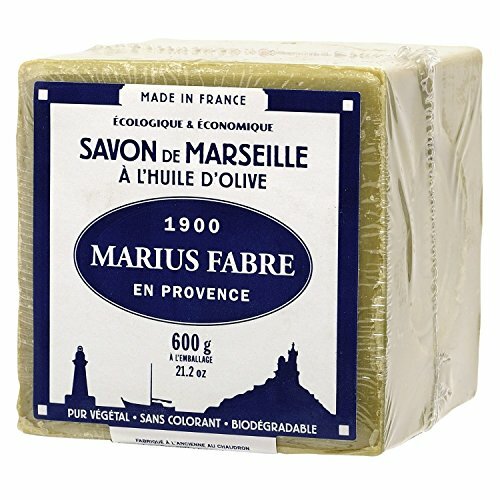 The Savon De Marseille Soap (72% Olive Oil) uses only natural ingredients. No added colorings or synthetic additives are used. 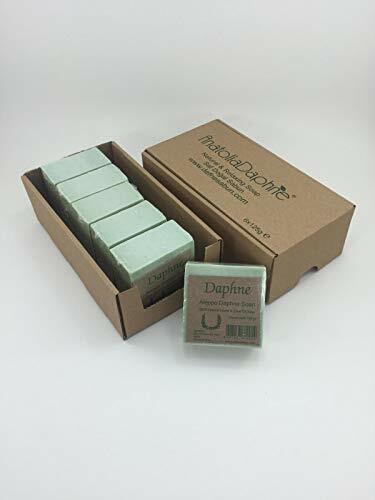 The 72% olive oil content is stamped on each soap cube. Aleppo soap takes its name from its home city: Aleppo, Syria. The first Aleppo soap produced comes from the 8th century, but some argue that it has existed long before that. Some even say it’s the world’s oldest soap. Aleppo soap contains 2-40% laurel oil. It’s 100% natural and free of any chemicals. It has won the test of time. To this day, it remains one of the most valued soaps around the world. It’s a great moisturizer and cleanser, thanks to the perfect balance of olive oil and laurel oil. This 100% Pure Natural Aleppo Soap Bar is made in Turkey. It uses natural laurel extracts and olive oil, following traditional artisanal soap making methods. Moroccan Rhassoul clay, or red clay, has been used for various applications for centuries. The clay is mineral-rich and has been a valued component of many skincare and hair products. Studies show that it reduces dryness, improves skin elasticity, removes excess oil, unclogs hair follicles, removes impurities, and creates a healthy looking skin. 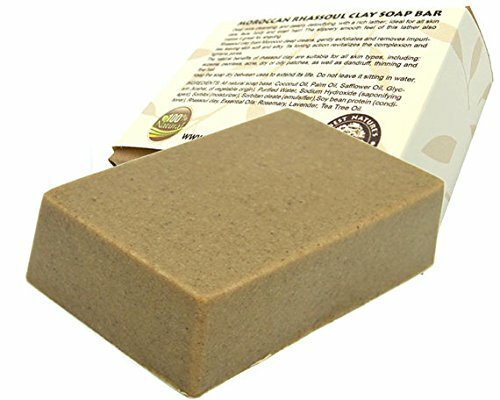 Grab this Moroccan Rhassoul clay soap bar, which features all of the natural properties of red clay. It’s perfect for all skin types. It can benefit those suffering from acne, dry skin, oily patches, psoriasis, eczema, and even dandruff. 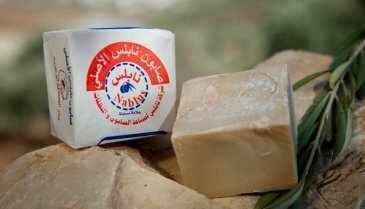 Nablus soap is 100% natural and uses olive oil. Olive oil has been known to promote skin balance and nutrition. It also includes natural ingredients such as essential oils, milk, honey, Dead Sea mud, and dried fresh herbs – all creating a therapeutic and aromatic effect. Nablus Soap can be used daily, and it’s safe for everyone because it uses botanical and natural ingredients. No animal testing is done, and no synthetic additives are used. This makes it biodegradable, meaning it’s no harm to the environment. This original Nablus Olive Oil Soap Bar uses 80% virgin olive oil. All ingredients are natural. It is made using the traditional soap making methods of the past – you can be assured that everything about every bar is authentic. African black soap is also called Anago soap, Alata Samina, or Ose Dudu. It comes from Ghana and other parts of West Africa. The tribes here made this soap using plant components which were harvested locally. It follows a traditional African recipe – which is a closely guarded secret to this day. Only the families of the original soap makers know the recipe. Each African region had their own version of this recipe, but there are major similarities: such as the ingredients, including coconut oil, palm oil, cocoa pods, honey, plantain skin, and raw African shea tree bark or shea butter. The result is an incredibly rich soap. 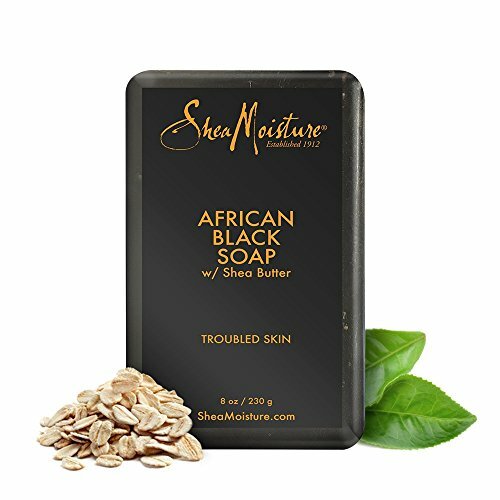 Check out this Shea Moisture African Black Soap, which is perfect for uneven and acne-prone skin. It contains zero paraben and sulfates. It is enriched with shea butter to give the skin the moisture and nourishment it deserves. Soap making is a big part of Italy’s rich culture. In the past, Ancient Romans used to wash with olive oil. Soon, they developed soap for washing clothing. There even is archaeological evidence showing Romans having a soap factory in Pompeii. Soap making became central to Marseilles in the Middle Ages. 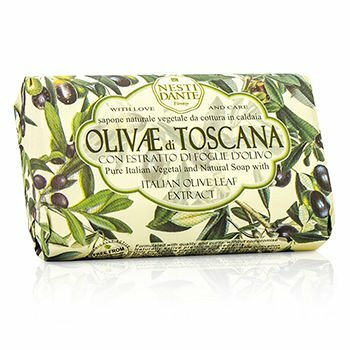 Italian soap was made with olive oil during the time, too. As the 18th century came in, bath soap became more popular and more soap makers flourished in Europe. A popular Italian soap brand is Nesti Dante. The Nesti Dante Natural Soap With Italian Olive Leaf Extract is a cleansing bar that has a unique fragrance. It’s made from natural vegetable oils and creates a luxurious lather that cleanses the skin gently without causing dryness. Olive oil is a main active ingredient, which nourishes the skin effectively. You get skin that’s smooth, radiant, clear, and revitalized. It is absolutely free of surfactants, parabens, petrochemicals, and sulfates.